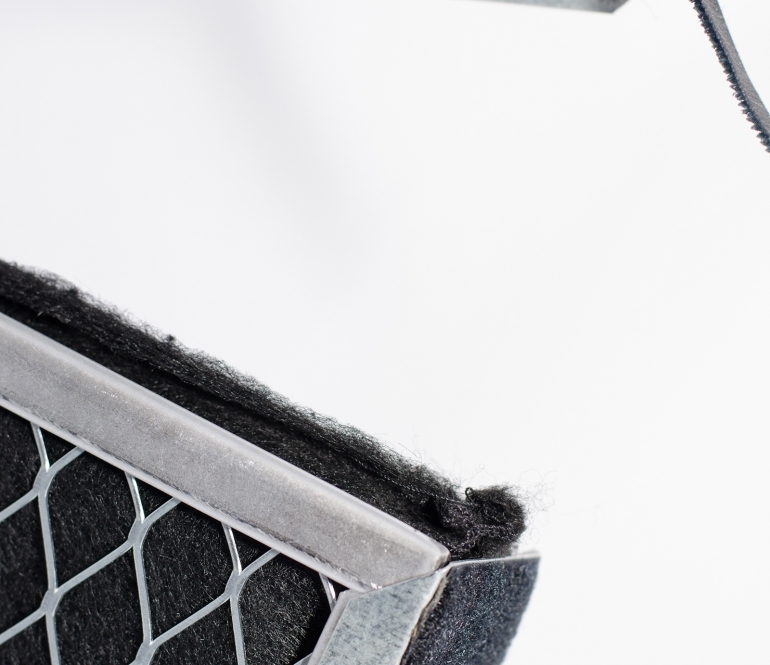 The DustPlus air filter, Model DP2, is uniquely designed to electrostatically remove particulate matter to deliver clean air, plus absorb odors and fumes. 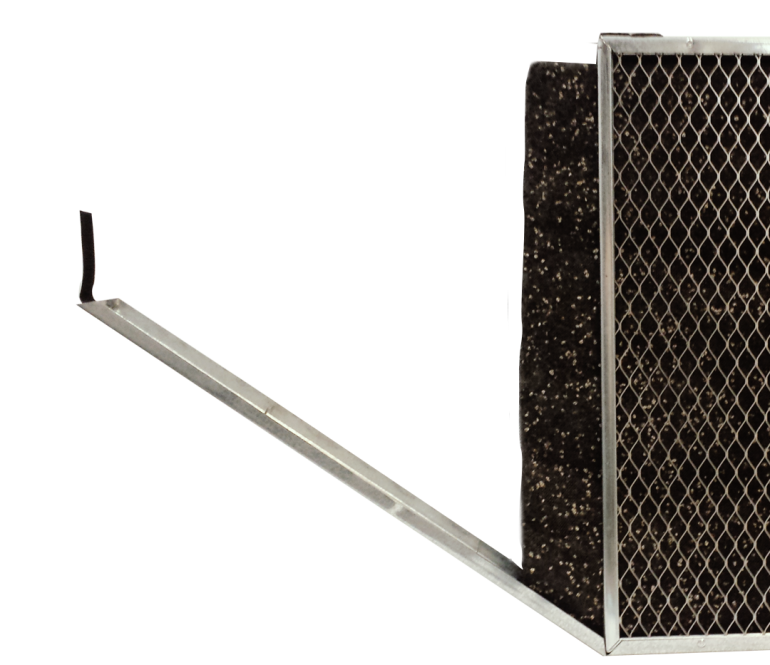 The DustPlus air filter is enclosed in a 2″ thick galvanized steel frame that opens and closes for activated carbon back panel replacement. This air filter contains a permanent washable electrostatic front panel and improves indoor air quality by capturing dust and odors. Acting as a prefilter, this air filter’s front panel media uses an electrostatic charge to attract and hold small particles like dust. 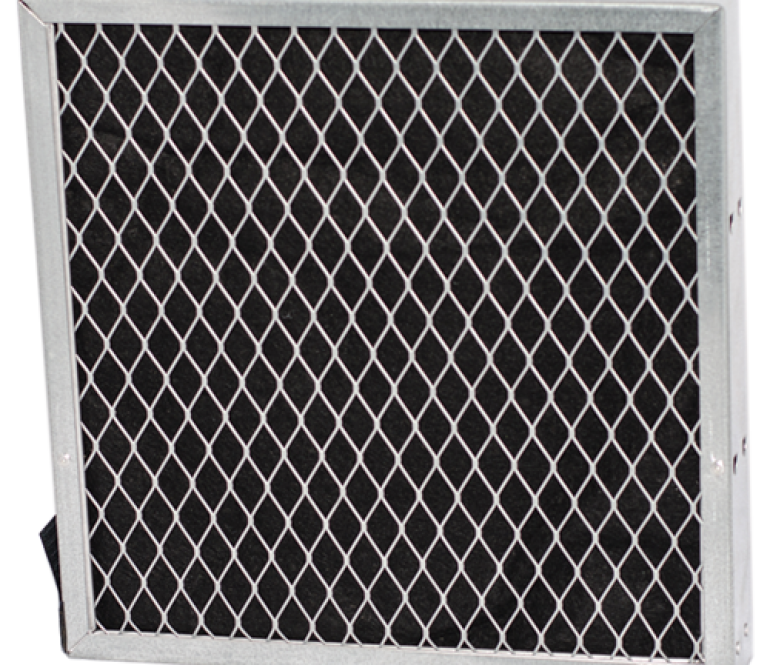 The permanently affixed rear wire panel creates a holding chamber for a high density odor and fume removal filter like activated carbon or carbon with alumina for light gases. The result is significantly better indoor air quality with the removal of small particles plus increased odor and fume removal. The front electrostatic filter captures larger particles, allowing the odor removing media to work without interference by face loading of large airborne particles. Replaceable fill options for the back panel include a high density 60% minimum activity granular carbon only pack or carbon and alumina with potassium permanganate for light gases. Both options are encased in flexible nylon mesh scrim. DustPlus electrostatic filters should be periodically rinsed or vacuumed free of accumulated particles. Water and a mild detergent may be used on the permanently attached front polypropylene panel; the activated carbon media/disposable filter inside the DustPlus should be removed from the frame and replaced. Depending on the environment, odor removing media like activated carbon can last up to six months. Once the media reaches maximum adsorption, it is simply removed and replaced. The HVAC system’s recirculating fan should be kept running to ensure maximum air contact with air filters and adsorption media. Permatron air filter frames also available in stainless steel.